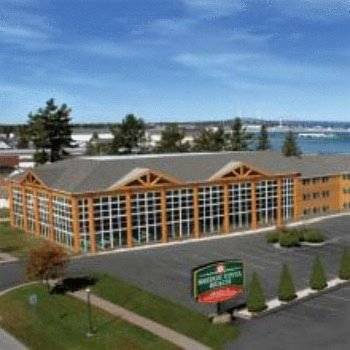 Northern Michigans premier hotel and convention center with Mackinaw Citys largest indoor water park. Enjoy the incredible views right from your own private balcony or relax on our sugar sand beaches. With 99 rooms and suites we are sure to have the accommodations that you are looking for. Our hot breakfast buffet is served complimentary each morning right in our own bridge view restaurant.